MSE Creative Consulting Blog: A Dangerous Flash Flood Situation! Parts of northern Sedgwick Co., Kansas have received more than 4 inches of rain today. If you scroll down, you see a map of Kansas and Missouri that reveals many other areas with that much rain. 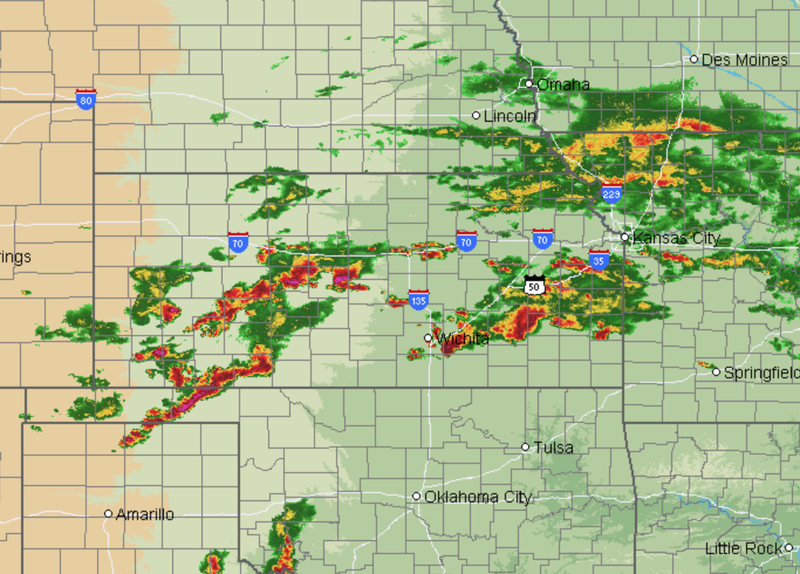 So, the additional thunderstorms developing in western Kansas are quite ominous, especially if they can become aligned west-east along the warm front in southern Kansas. Here is the AccuWeather Regional Radar at 7:20pm CDT. 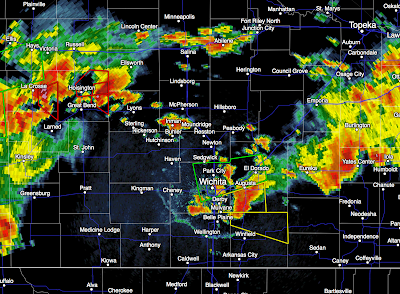 And, here is the central Kansas radar with two tornado warnings in effect (red polygons). Radar 7:28pm. I can't urge you strongly enough to avoid flooded areas. If you live near a creek or small stream, be prepared to immediately move to higher ground at the first sign of rising water or if a warning is issued. Note: This is the last update of the evening.